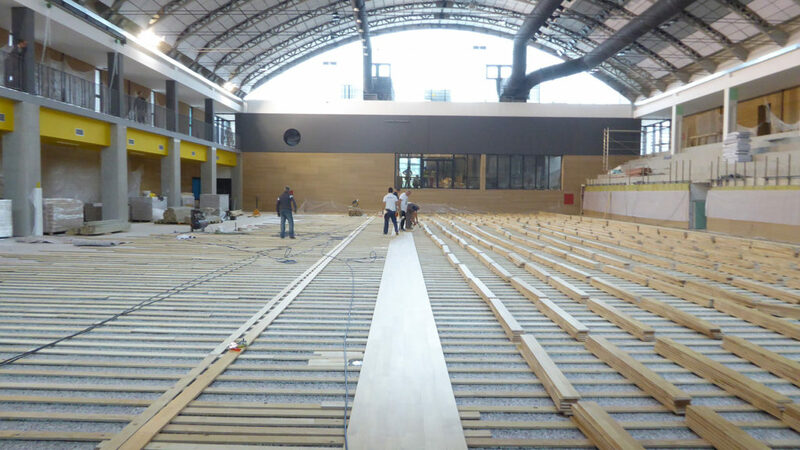 Satisfied with the results of the first job, the Albona Administration did not hesitate to choose again the company of Montebelluna. 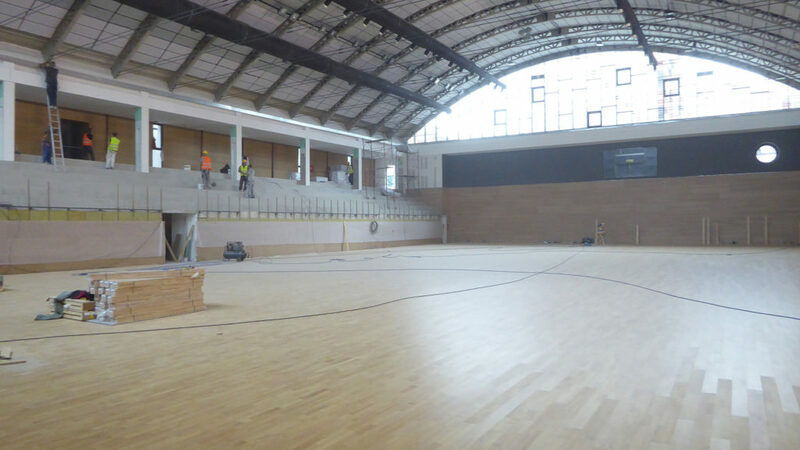 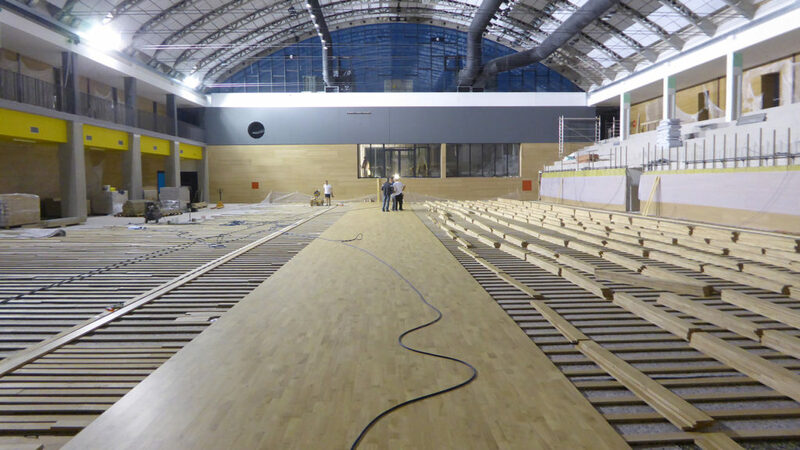 The work was done in the main arena of the Croatian town. 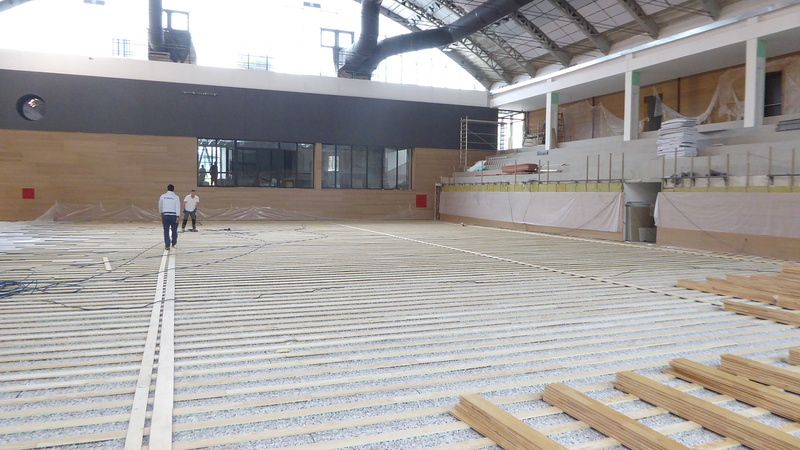 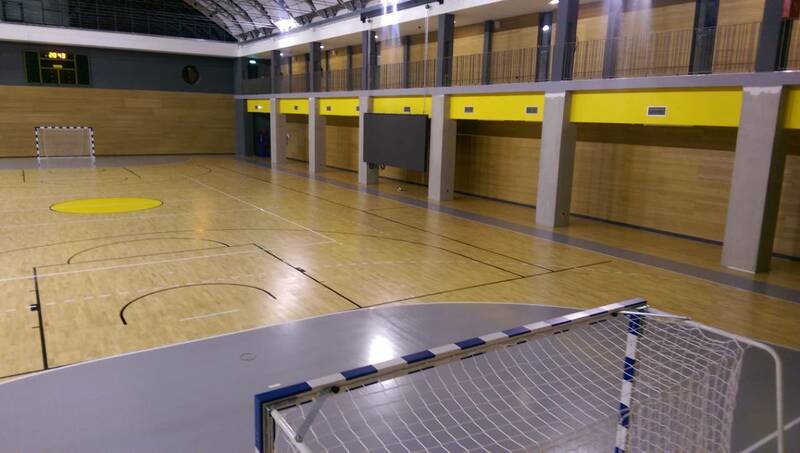 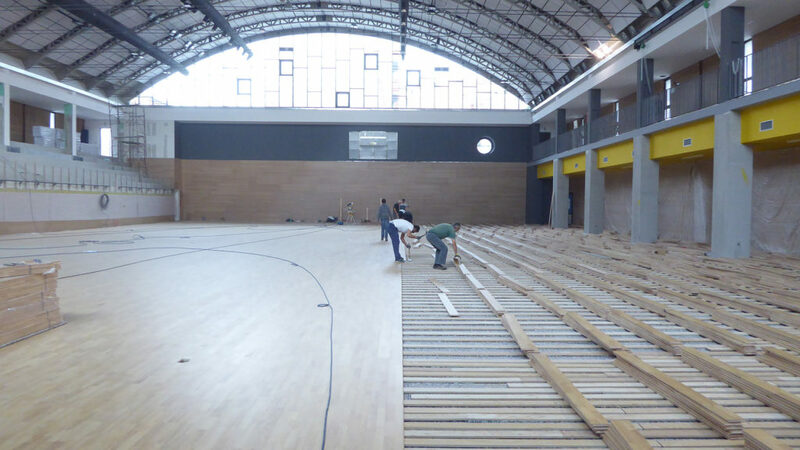 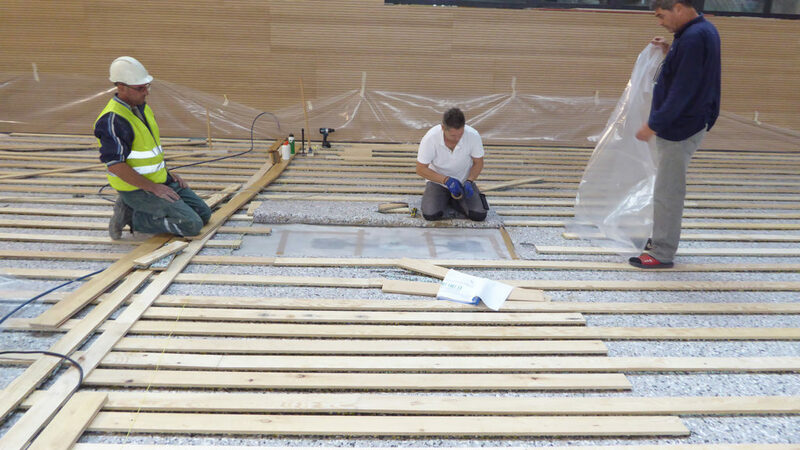 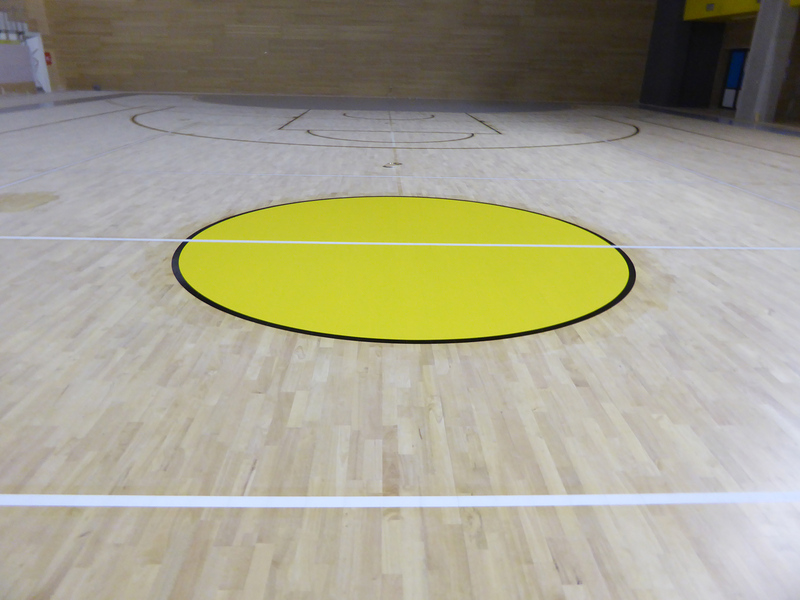 Even in this case, an elastic flooring was chosen but at the same time resistant to impact and athletes’ efforts. 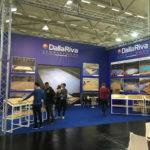 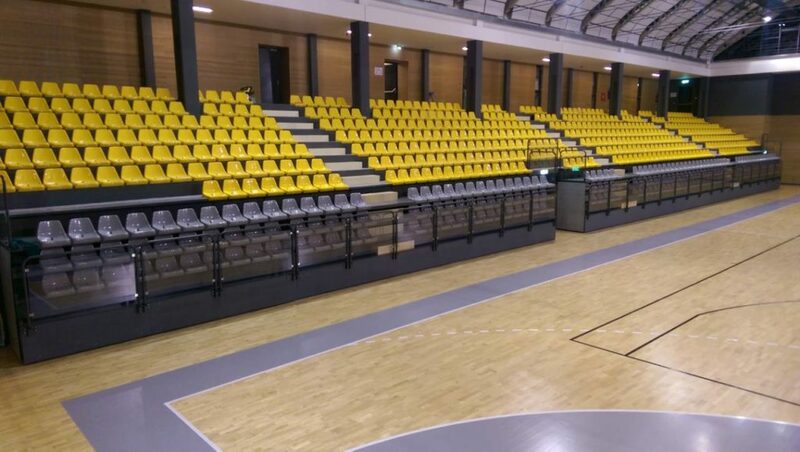 For Dalla Riva Sportsfloors the most suitable is the model Compact 45 in Hevea Rubber Wood, a sports parquet of absolute excellence. 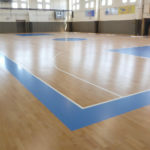 An intervention, carried out in October for a 5-day period, that covered 1,300 square feet, where basketball lines were drawn in black and volleyball and handball lines in white color.